Searching around in my fridge/cupboards for a tasty treat that my diet will allow has been proving difficult. My body is craving something sweet constantly especially after workouts or when I’m doing coursework. I have plenty of fresh fruit in the house so decided to make a snack that I could quickly grab when those sweet attacks hit. 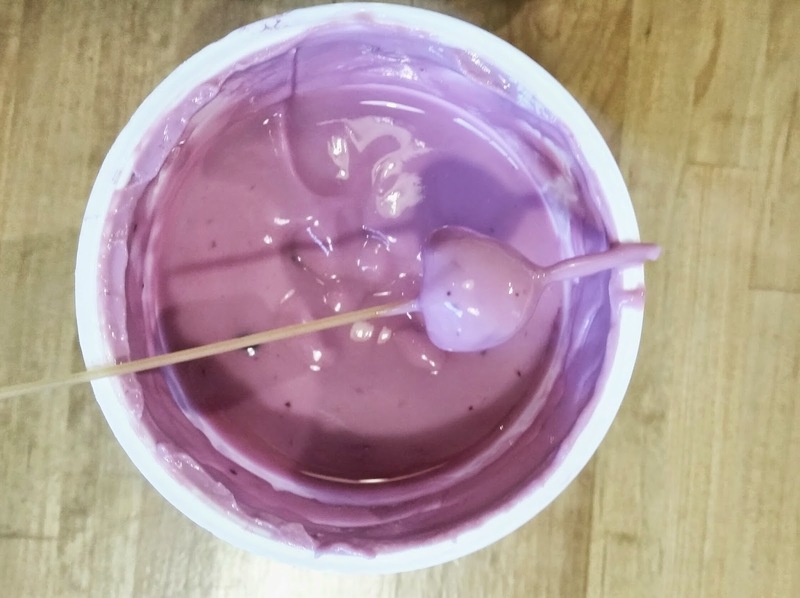 I have seen this recipe done with Blueberries and Natural Yogurt but thought I would make the most of the ingredients I already had in my house so I give you… Raspberry drops with Blueberry & Elderberry yogurt! The only two ingredients needed for this sweet little snack. 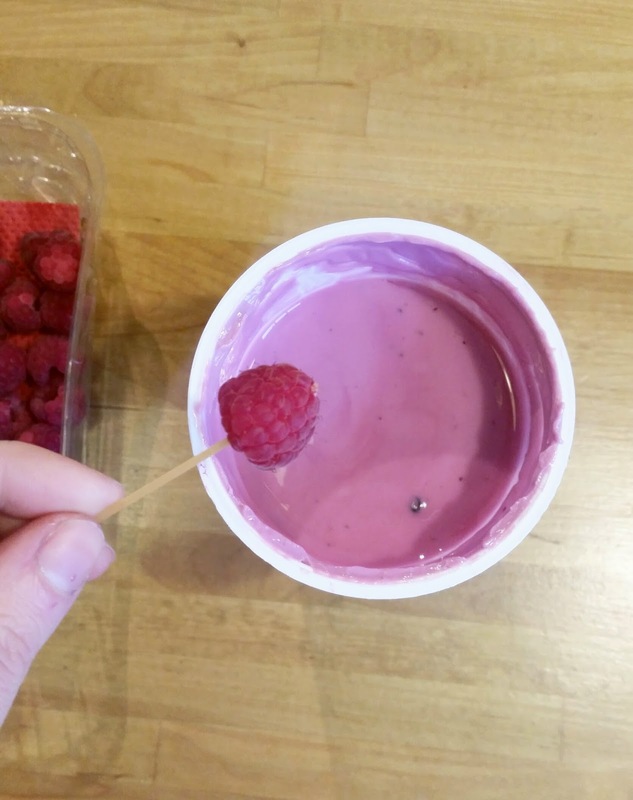 To make- take a raspberry and dip into the yogurt. I couldn’t find any toothpicks, so I used an uncooked piece of spaghetti to dip my little raspberries. Make sure you drip any excess yogurt of the fruit. 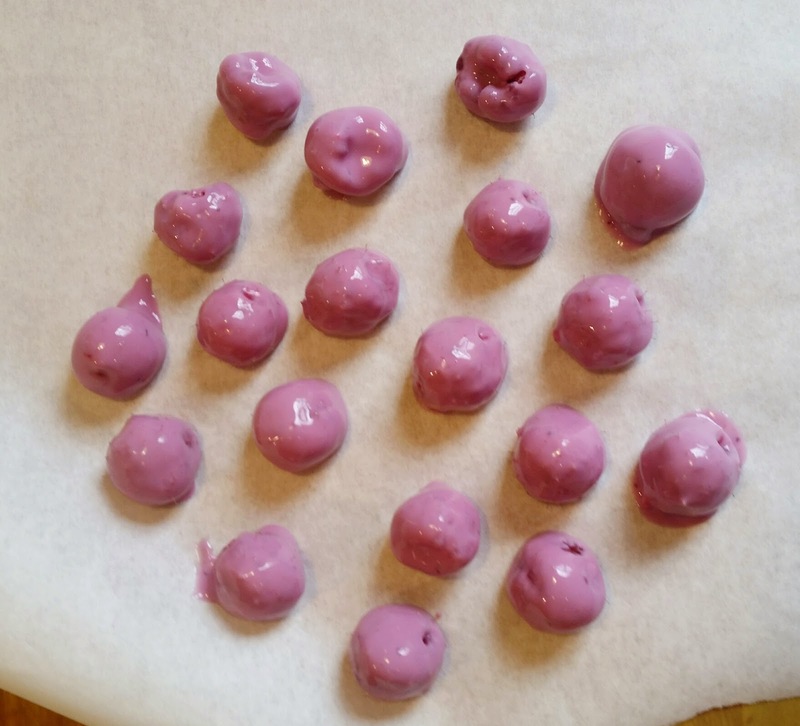 Carefully place the coated raspberries on a piece of baking paper, and pop into the freezer for an hour. 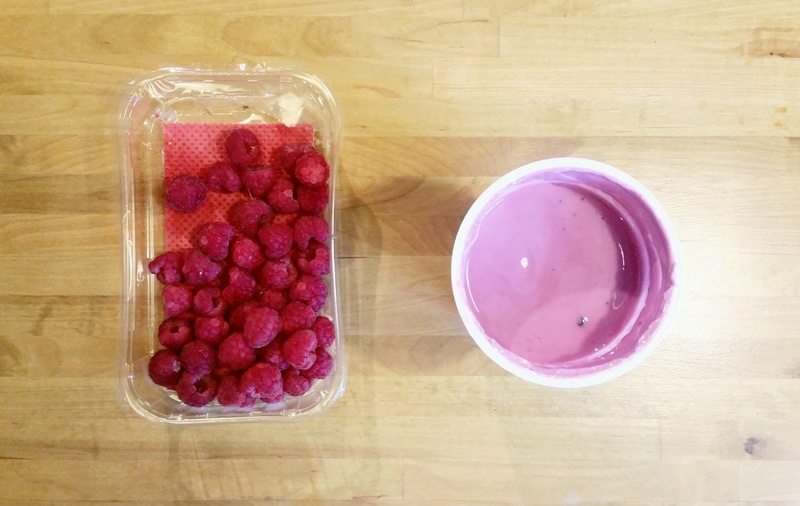 After an hour, you can remove the Raspberries from the paper and place into a pot, for easy snacking!! I love how sweet these are. And not as hard as the frozen blueberries. 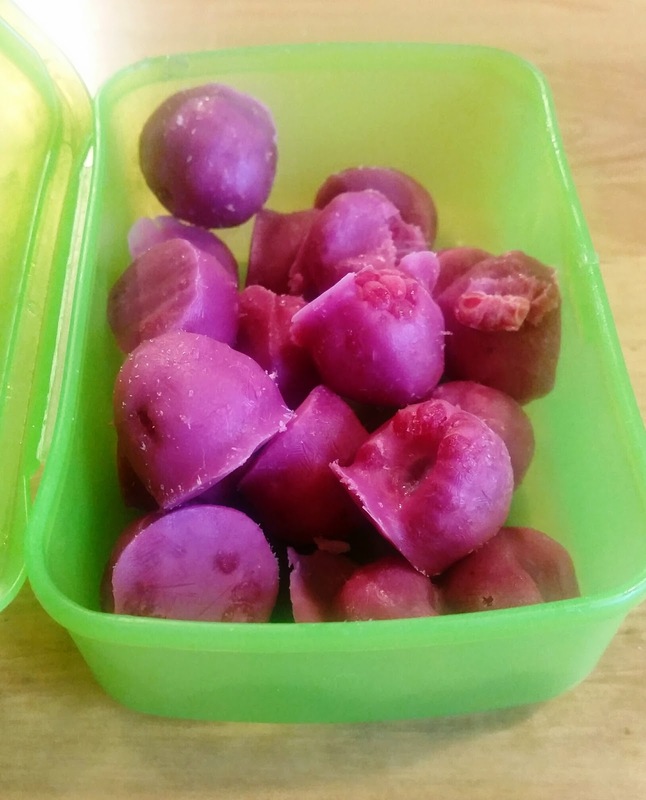 What is your favourite frozen snack? Time to get fruity.. again. Marshmallow and Mini Egg Brownies.